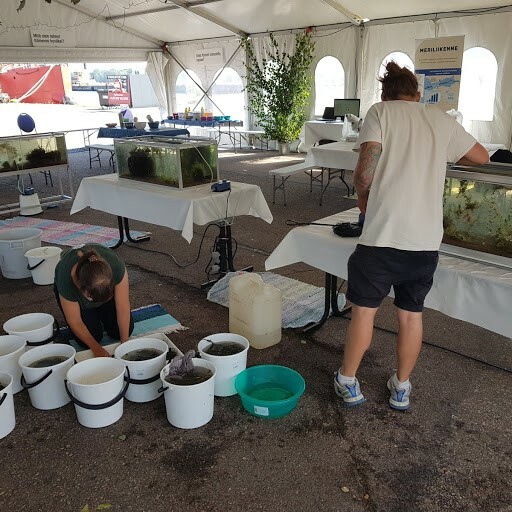 As is now tradition, the Meripäivät Festival brings along with it to Kotka the Baltic Sea Village, which boasts a range of activities for maritime enthusiasts of all ages. This year we will be discussing ways to take better care of the Baltic Sea, including how to make your kitchen more Baltic-friendly. Have you heard of the bay barnacle, round goby, Chinese mitten crab or marenzelleria? What should you do if you notice a member of an introduced species tugging at your fishing hook? With a wealth of information on introduced species, our tent lets you plunge your hand into a vat of “introduced species goo” or take in the artistic products of our drawing contest. You will find the Village at the North Pier (behind Vellamo).